Some military spouses need or want to work part-time, rather than full-time — because of their service member’s work schedule and deployments, their children’s needs and schedules, or for other reasons. Some spouses take on a part-time job in addition to their full-time work; others cobble together more than one part-time job. And many spouses create their own flexible work schedules through agreements with their employers or through their own businesses. There are a variety of part-time possibilities available on installations at military stores, morale, welfare and recreation (MWR) activities, financial institutions, and other locations. But look beyond your installation, too. Use resources like LinkedIn and Indeed.com. Check the job openings listed on the Military Spouse Employment Partnership site. On the website, click on “Refine Your Search,” and under “Job Types,” select part-time, seasonal, flextime, temporary, as well as full-time and others. Many MSEP employers “offer a variety of work schedules to meet the employment needs of military spouses,” said DoD spokeswoman Jessica Maxwell. A search in late August yielded 577 part-time listings in a variety of fields, such as military and family life counselor positions working for contractor Magellan Health Services in locations from Schofield Barracks, Hawaii to Eglin Air Force Base, Florida. Walmart posted part-time positions for pharmacists, pharmacy technicians, sales associates, optometrists, money center cashier and others. Grainger posted customer service positions, and others. These job postings can be seen only by military spouses who are eligible to use the resource. Nearly 400 employers are part of the MSEP, and they are vetted by DoD officials before they are allowed to post jobs. R.Riveter handbags are made by military spouses across the country, known as ‘Riveters.’ Each is responsible for constructing one particular element, and the parts go to a warehouse in N.C. for assembly. 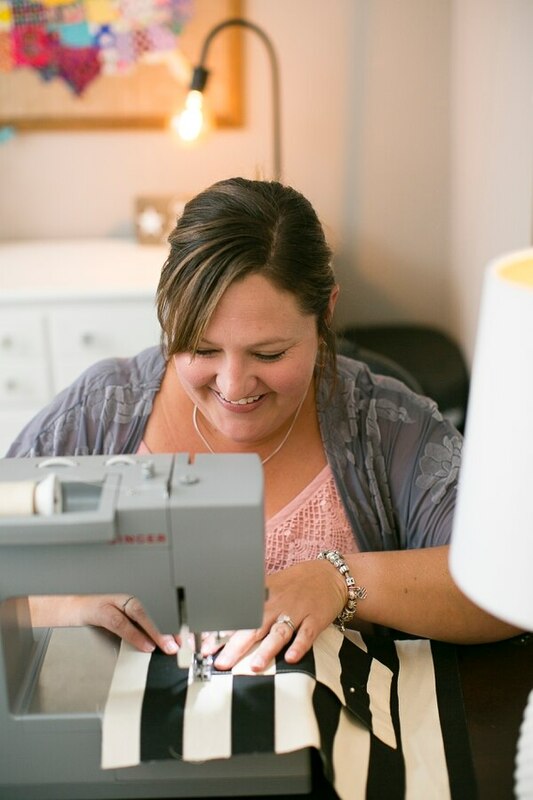 The company, created by military spouses, offers flexible, mobile positions for spouses. (Courtesy R.Riveter). Check out Tutor.com, also an MSEP partner, which employs more than 3,000 part-time tutors in a wide variety of subjects. These tutors earn money by working flexible hours from home or anywhere with a stable internet connection. Tutors can choose their own hours — the service is available 24/7. “Tutoring for us also helps educators keep their skills sharp while making a difference in the lives of students,” said Pamela Brehm, senior director of Tutor.com Military and Federal Programs. Through funding from DoD and Coast Guard Mutual Assistance, Tutor.com also provides online tutoring and homework help at no cost to active duty services members and their eligible dependents. Check out companies' separate listings for spouses. Amazon’s site offers a variety of jobs — part-time, full-time, flex, virtual options, including some that require degrees, some that don’t. While there were just two part-time jobs listed in late August, there are also jobs with flexible schedules. But it pays to keep checking for new possibilities. Amazon.com is also a member of MSEP. Consider setting up your own services such as babysitting, pet sitting, dog walking, personal assistance, housekeeping. Care.com is an option for connections, and they are a member of the MSEP. Rover.com is another option for dog services; both these require vetting. The Defense Department’s Spouse Education and Career Opportunities program offers career coaches who can help you get the most out of resources for your job search. Schedule an appointment by calling Military OneSource at (800) 342-9647. Spouse employment experts at family centers on installations also offer information about job searching and local job opportunities. Blue Star Families’ Spouseforce tool is a new platform that helps match spouses more precisely with employers that offer jobs that match their skills and qualifications, as well as meet their lifestyle needs. The online Spouseforce tool helps Blue Star Families do a deeper dive into the qualifications and needs. They offer assistance on a national level, as well as locally, in some areas. For example, they have relationships with Starbucks, Hilton and others who have mobile part-time jobs. 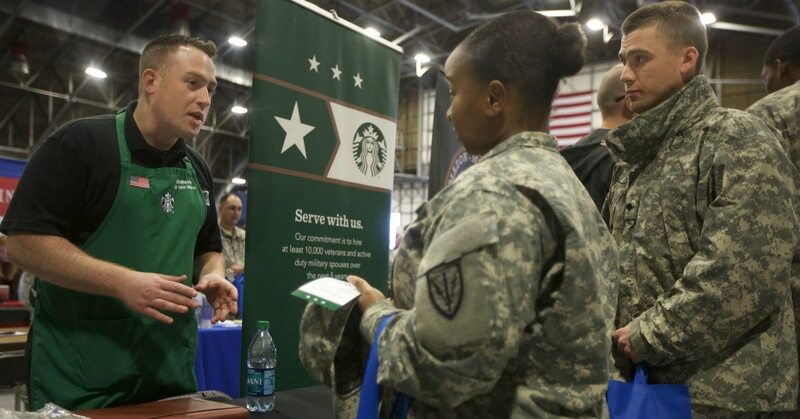 Erika Clark, a career manager for Blue Star Families in Jacksonville, Florida, said she recently spoke with a local employer who was looking only for part-time employees and only for military spouses.